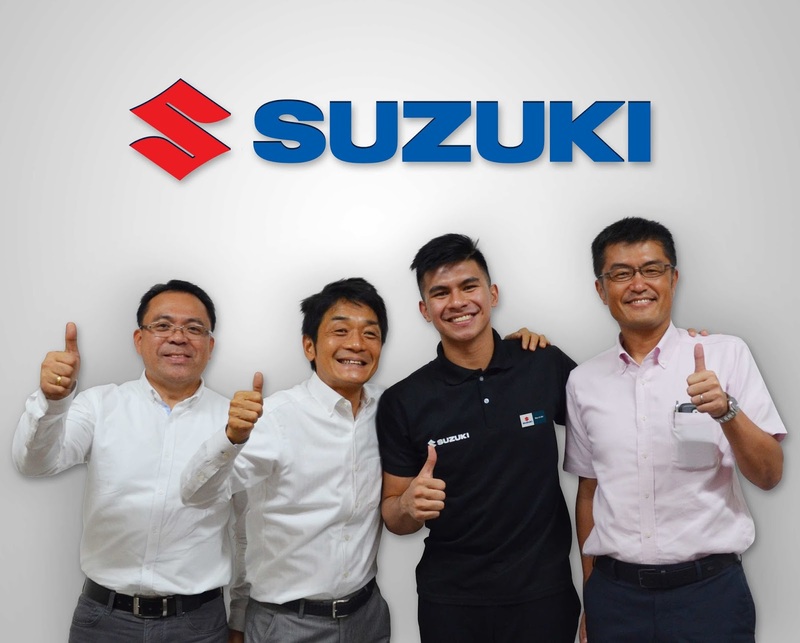 Recognizing the power of sports in the Philippine market, Suzuki Philippines (SPH) renewed its contract with three-time Southeast Asian Games gold medalist and 2010 International Basketball Federation (FIBA) Asia Under-18 Championship Mythical Team member Kiefer Ravena, extending his endorsement agreement with the company for another year. The 21-year-old University Athletic Association of the Philippines (UAAP) Season 77 Most Valuable Player signed the contract on Monday, September 7, with SPH President Hiroshi Suzuki, SPH General Manager for Automobile Shuzo Hoshikura, and SPH Managing Director and Treasurer Norminio Mojica. Ravena’s endorsement deal with the carmaker started in 2013, and the Ateneo Blue Eagle player said that his partnership with SPH is his longest running endorsement thus far and that the relationship has been mutually fruitful. “Being a part of this family is something that I really treasure. Iba na rin ‘yung na-build kong relationship with them. (I’ve built a unique relationship with them.) It goes beyond contracts,” he said. Photo above shows (L-R) SPH Managing Director and Treasurer Norminio Mojica, SPH President Hiroshi Suzuki, Kiefer Ravena, and SPH General Manager for Automobile Shuzo Hoshikura during the contract signing.